One of the most prominent names in blockchain technology is Ethereum—which is no surprise since they are making advancements at a much rapider rate than some of their competitors. Recently, these advancements were addressed by Joseph Lubin, the co-founder of Ethereum, at the 2018 RISE conference. Hosted in Hong Kong this year, RISE is known as the largest Asian technology conference. This year, 15,000 people attended- many of those who attended on Day 2 would hear about the recent Ethereum developments. What is the Most Recent Ethereum News? According to Lubin, Ethereum recently released its most complicated app yet, Augur. 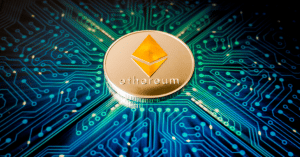 Its release has marked a major success for Ethereum, which has been working to increase its technology to accommodate such a large request. With this successful app release, it has also moved to Phase 2 of its blockchain technology, which will increase the capabilities and capacity of the blockchain network on Ethereum. 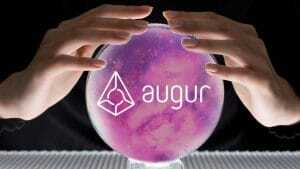 Augur is a prediction market platform is created to be decentralized, meaning it is unbiased. The founder of Augur, Joey Krug, said that the app took years to develop fully. This lengthy development time was caused by the troubles the company faced finding a decentralized network, especially since they had to rely on outside contracts to collect the unbiased information and keep it up-to-date. In fact, the task was so difficult that Krug reports that in his opinion, “Engineering dapps (decentralized apps) is more risky than engineering underlying blockchains”. He also stated that the difficulty of Augur was “about 10x more complex than the second most complicated Ethereum project, Makerdao, which has about 10 contracts vs Augur’s 100.” The lengthiness of the project had nothing to do with the skills of the people involved—it was just a highly complicated process. Ethereum has an open-source community of developers, who have been working closely together to create a two-layer solution for the Ethereum platform. These recent Ethereum developments offer solutions for processing. The solutions, named Plasma and Sharding, have the potential to increase the blockchain network hosted through Ethereum to process at a rate of one million transactions—per second. This means that the level one systems let the protocol be processed securely, away from unauthorized viewers, while the payments are integrated into a layer two solution. This should prevent the problems that many companies see with scalability. The two-layer solution for blockchain protocol is critical because it increases data processing. In fact, it is even said that the two-layer system will allow decentralized information on prediction markets, exchanges, and stock markets to operate in a seamless manner. This could keep things running smoothly and keep all investors up-to-date with the most recent market standings from unbiased views.